B1 Business Preliminary, B2 Business Vantage and C1 Business Higher. 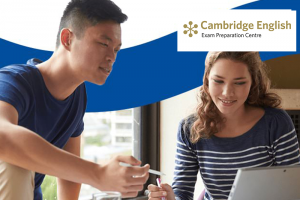 Anyone who has studied English in the last 5 years at any accredited Cambridge English Exam Preparation Centre (like Cambridge School) will know the Cambridge English exams. You will be familiar with names such as KET, PET First and Advanced, along with the A2 or B2 codes you keep seeing in your coursebook. These Common European Framework (CEFR) codes have become almost ubiquitous within English language learning, and reaching a certain level is now an objective for most learners. In fact, it is now a requirement for all new university students to obtain B2 level (equivalent to First certificate) in order to graduate. You can see the CEFR levels on our website. But what if you have already graduated from university? What if you want to study for an exam that is more related to your working environment? Is there an exam that allows you to both improve your practical knowledge of English in a business context, and achieve a qualification that is acknowledged by businesses around the world? The answer is, Yes! Cambridge English has renewed its business exams and we are here to give you the inside information on what they involve. 2) Each exam consists of either separate or combined papers based on the following areas: Reading, writing, listening and speaking. There’s an example question from the B1 Business Preliminary exam below. Can you answer it? (The answers are at the end of the article). If you or your company are interested in knowing more about these exams, then don’t hesitate to contact Cambridge in-company. PART SIX Questions 29 – 40. Read the article below about team-building. Choose the correct word to fill each gap, from A, B or C.
29 C; 30 A; 31 C; 32 B; 33 A; 34 B; 35 B; 36 A; 37 C; 38 C; 39 B; 40 A.